With more than 20 years experience, our New Jersey bankruptcy attorneys represent a variety of creditor interests in Chapters 7, 11 & 13 bankruptcy court proceedings in the United States Bankruptcy Court for the District of New Jersey – Camden, Newark, and Trenton. Our creditors’ rights practice includes trials in the Bankruptcy Court on matters ranging routine to complex issues, including challenging bankruptcy filings on grounds of bad faith, commencing involuntary bankruptcy filings on behalf of unsecured creditors, representing landlords to recouping rent or recovering possession, representing secured lenders, and representing creditors in objections to discharge or to dischargeability of a debt or judgment. Financial institutions, banks, credit unions, and other institutional lenders. Spouses in divorce disputes involving payment of spousal support. Our Philosophy is to Win Cases With Creative and Persuasive Legal Arguments! Believing in the concept that cases are won and lost before we appear in court, our NJ bankruptcy lawyers take great pride in knowing that we walk into the courtroom prepared – that our legal papers clearly and concisely explain our client’s version of the events. Our New Jersey bankruptcy creditors’ rights practice extends to Chapter 7, Chapter 11, and Chapter 13 cases filed in Camden, Newark, and Trenton. 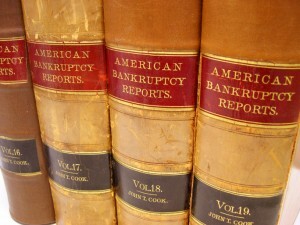 Our creditor representation also includes prosecuting and defending adversary proceeding litigation such as defending avoidable preference and fraudulent conveyance claims brought by bankruptcy trustees, and representing institutional lenders and investors in efforts to restructure debt and equity through informal workout negotiation. Actions to foreclose security interests or mortgages and for replevin of personal property. Prosecution of injunction proceedings to protect property and other intangible interests from infringement by debtors. Serving Bergen County, Essex County, Hudson County, Mercer County, Middlesex County, Monmouth County, Morris County, Ocean County, Passaic County, Somerset County, and Union County.